Close to the Dutch city of Nijmegen on the banks of the Waal river lies a tiny village called Lent. 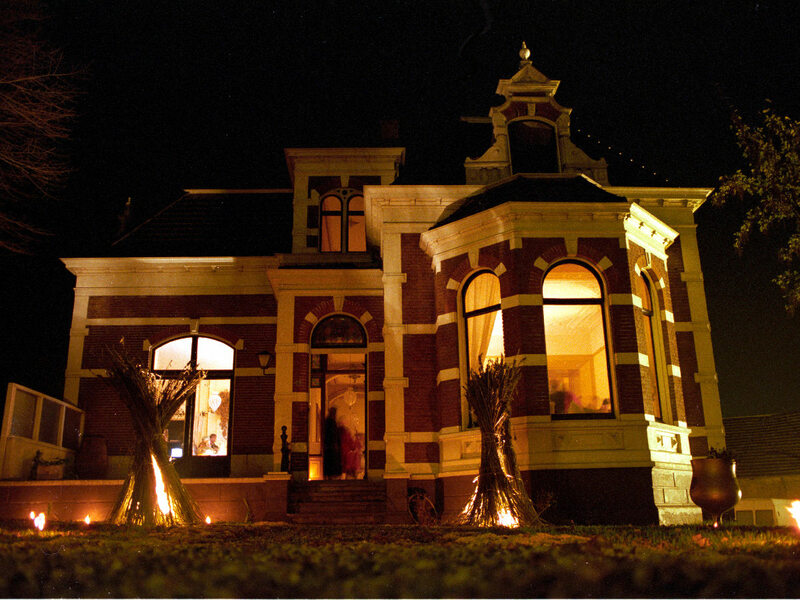 On the edge of the town, right next to the dike, a large villa was constructed around 1890 by a wealthy local merchant named Wouter Rijnders. He owned a windmill, a brewery and a factory producing glue and vinegar. In the large basement of his mansion, he installed another brewery. Decades later, this beautiful building was to become the Cannabis Castle. Steven Hager, former High Times editor-in-chief, came up with the name in his classic cover story “Inside Cannabis Castle: The Incredible Story of the Man Who Would be King of Cannabis,” published in 1987. In a few short years Nevil has made an incredible transformation from penniless junkie to wealthy entrepreneur. Although he’s an effective and efficient businessman, marijuana is his business, so things are run a bit differently here than at most companies. For example, resinous buds of exotic types of cannabis are strewn haphazardly around the room, as are large chunks of hash and bags filled with seeds. This Convention shall not apply to the cultivation of the cannabis plant exclusively for industrial purposes (fibre and seed) or horticultural purposes. Every day letters pour into [Schoenmakers] post office box, letters containing American dollars wrapped in carbon paper to avoid detection. The money is for seeds. 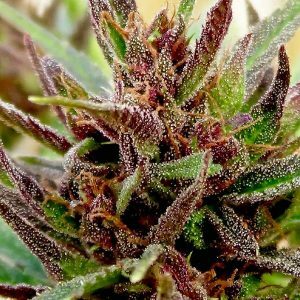 Not ordinary pot seeds, but the best, most potent seeds on the market, seeds that will grow gargantuan buds dripping with resin, seeds that cost between $2 and $5 each. Thousands upon thousands of Americans bought these seeds. It didn’t take long before the other great Dutch cannabis pioneer, Ben Dronkers of Sensi Seeds, teamed up with Schoenmakers. The Cannabis Castle became the epicenter of the Dronkers empire; Ben’s eldest son Alan lived there from 1990 to 2007, and it was there that classic strains like Jack Herer and Black Domina were created in the castle’s basement grow rooms. Indeed, the ’90s represented a Golden Age for cannabis in the Netherlands; the industry was thriving and the repressive backlash from the conservative government had yet to start. 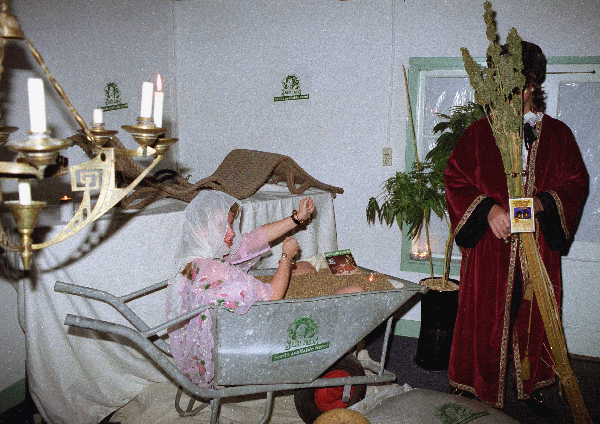 In 1994 and 1995, the Dronkers family offered attendees of the High Times Cannabis Cup in Amsterdam the opportunity to visit the Cannabis Castle as part of a special tour. I had the good fortune to join one of these unique tours, in 1995. And it was a truly unforgettable experience. The journey from Amsterdam, in a luxury coach filled with American stoners, was memorable in itself. We arrived late in the afternoon, torches and fire baskets lining the path to the entrance of the castle. We were welcomed by Sensi staff dressed in full 17th century costume, complete with powdered wigs and stiff collars. Some of them were holding silver platters with pre-rolled joints and top-class buds. The building itself was striking in its elegance, adorned with stained-glass windows and high ceilings. The rooms had comfortable couches and seats, and a collection of Picasso lithographs depicting smoking men and women hung on the walls. There was wonderful food, huge bongs and probably the very first vaporizers I ever came across. Ben Dronkers gave a great speech, explaining how important the Cannabis Castle was for breeding new varieties with genetics from all over the world. We were given a guided tour of the castle’s dungeons and marveled at the fully automated grow rooms, filled with amazing cannabis plants. In later years, Schoenmakers and Dronkers fell out and ceased their working relationship. Schoenmakers has since moved back to his native Australia, where he’s said to be on the board of biotech company Stem Cell United as it enters the medical marijuana market. But what has happened to the Cannabis Castle? To find out, I caught up with Ben Dronkers’ son Alan for an exclusive chat. BigBudsMag: Who now lives in the Cannabis Castle? 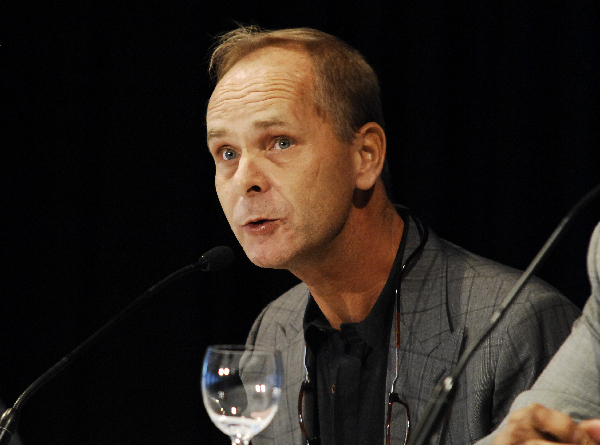 Alan Dronkers: The genetics [seed] bank and the maintaining of the genetic collection is still there and is now handled by HempFlax, not far from the castle. Since my departure in 2007, [Sensi Seeds] is still located in the castle, but nobody lives there anymore. BBM: When and why did Sensi stop breeding and producing seeds at the castle? AD: The law changed in 1998, making cultivation and breeding difficult. Fortunately, a permit has ensured that in any case the genetic collection could be maintained. The breeding and production of seeds had to take place in a different location and with a different method, but never stopped. BBM: What does the Cannabis Castle mean to you? AD: Watch the video. Everyone who is anyone in the cannabusiness world — including people who are now making it big in the US — was there, as well as heroes who are no longer with us. The castle has made a big impact and the aftershocks can be felt to his day. It was and still is a very special place. After my departure it has been restored and it is still being maintained. The Cannabis Castle was the starting and collection point of many important strains, which are still cultivated and appreciated, or were the basis for further development. BBM: What’s your best memory of the castle? AD: I have a lot of good memories of the many characters that came to visit and the culture and information that we shared. It was a cannabis culture place, just like the Hash, Marihuana & Hemp Museum. The dreams and the beginning of HempFlax, our hemp company, are there. In many ways it is the place of the roots, and it wasn’t just the clones that rooted well. Man Vs. Machine: Are Human Trimmers Still Worth The Time And Effort?